According to recent studies, by 2050 the Black Sea water level will have risen by 50 cm. This could mean that some apartments on the coastal areas will be underwater and others will be swept away or destroyed by waves. ZAXID.NET spent a week in the Odesa region near the Black Sea to observe how climate change is affecting the lives, dreams and eating habits of the local population in the Danube region. “If someone asks Ukrainians where pelicans live, 90% might answer that they live in Africa. 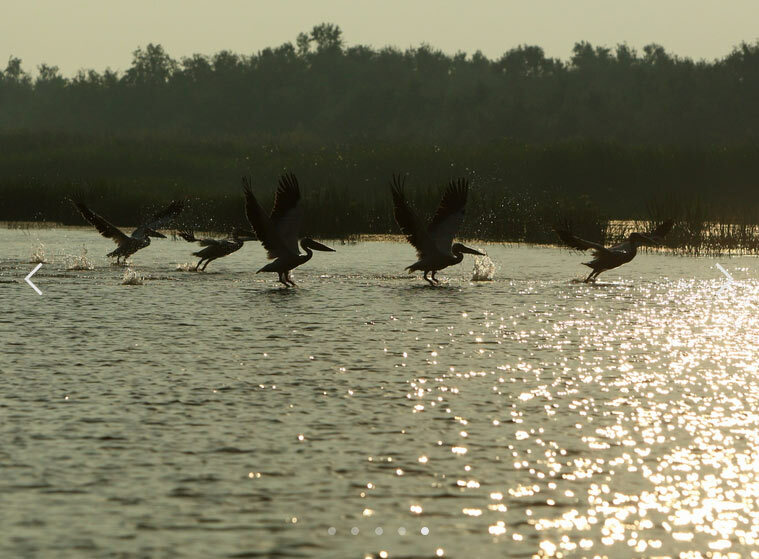 But the fact is that their home is the Danube Delta and only during the winters they migrate to Africa”, – says Mykhailo Zhmud, on the way to the summerhouse located in Vylkovo, which welcomes tourists as well. 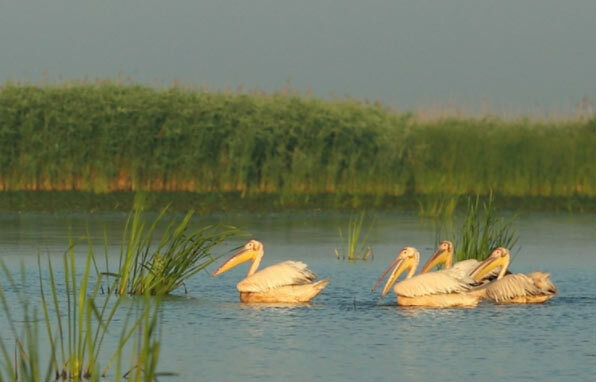 The Danube Delta, which is the world’s largest natural pelican habitat, as well as being home to around 50 thousand pelicans, is just right to this summerhouse. And interestingly, this tourist camp was even named “The Pelican”. Mykhailo Zhmud moved to Vylkovo 35 years ago. 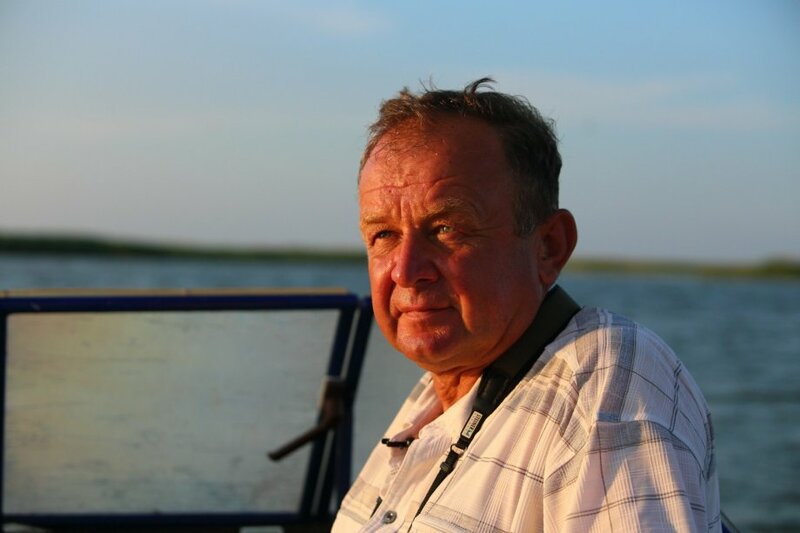 He is one of the most famous Ukrainian ornithologists and researchers of wetlands. 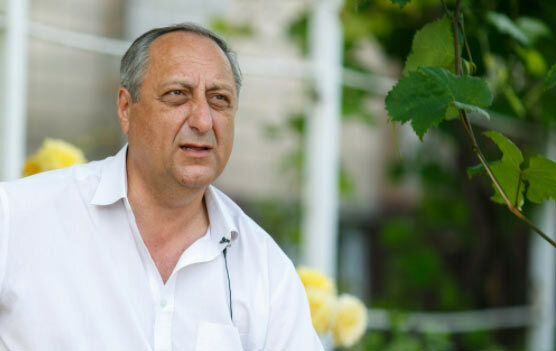 The scientist introduces his grandchildren to us and says that he is one of the few residents of the city whose children did not leave for Odesa, but stayed here. Mykhailo Zhmud has a pleasant, quiet voice, he tells his story in great detail, but with the greatest enthusiasm he speaks of local birds. The ornithologist, after graduating from the Odesa University and defending his thesis, continued his studies in California and Massachusetts, then in the Netherlands, but he always dreamed of living near the pelicans. “20 years ago we started a business, bought a small plot in Vylkovo, built several cottages and began to carry people to the islands nearby. There were almost 10 thousand people living here, now only six are left,” – says Mykhailo. He insists that the Danube region is a unique territories in Ukraine, where significant changes are expected due to global warming. On the Zhmuds’ tourist camp, even dishes are exclusively cooked from local produce: special Danube fish soup, Ukrainian borshch with fish, stuffed cabbage rolls and stuffed pepper, herbal tea with local honey and many other delicious meals. All this adds up to the unique local flavor. It is possible to get here from Odesa in three hours by minibus. Many tourists are coming here to watch pelicans as well as people who live “on the water” and move by boat. 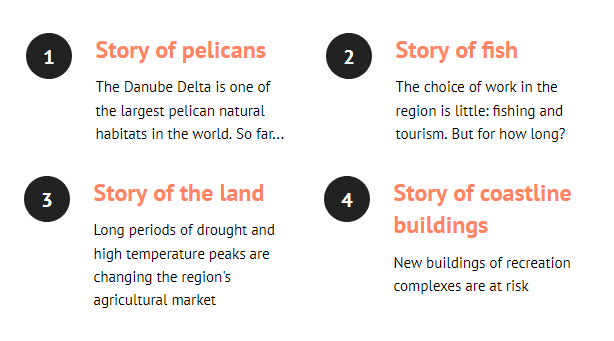 Therefore, it did not take long to name the tourist camp, it was called the “Pelican”. Mykhailo Zhmud unties a motor boat at his camp to show us how the sun rises on the islands near Vylkovo. This early in the morning pink pelicans can be seen having breakfast. The boat buzzes and cleaves the Danube, people should speak loudly among themselves, since it is a motor boat and it drowns out the conversation. Along the way, the scientist tells us that he has recently watched the film “Pelican” by Kusturica. A few years earlier, a very similar story had happened to him. “The pelican drifted to our tourist camp, it must have been sick, because pink pelicans always live in flocks. We fed it and looked after it. It was very funny when it caught a frog, the frog jumped in its beak-bag, and the pelican could not understand what was going on. For several days, it stayed with us and then disappeared, I still do not know why,” – recalls Zhmud. Get ready, now it will be scary! On the boat, Mykhailo Zhmud takes us up to the local big island of Yermakov, people have never lived here, but have begun to graze cattle for the past few years. In Soviet times, it was decided to harvest reed on the island for the production of paper, which prisoners from the colony in the Odesa region had to recycle into paper. Later it was understood that it was very unprofitable, but nevertheless the Great Soviet Encyclopaedia was printed on paper from the local reed. But the main thing is that one of the colonies of pink pelicans regularly gets food here. Pelicans will be one of the first birds to be affected by the climate change as they reduce their food source. Local population of pelicans consumes tons of river fish every day. “If the water level continues to rise, then they will not be able to eat properly because they can fish only at the depths of their beaks,” warns the ornithologist Ivan Rusiev. The ibis, which has a long beak and catches the invertebrates finding them in silt by probing it with its long curved beak, will also be at risk. According to WWF studies, flooding is predicted for the next 30 years in the coastal territories of the Delta, as well as transformation of natural ecosystems, infrastructure destruction, and penetration of saline waters along the Delta arms. Sea level rise is especially dangerous for Vylkovo that is located directly in the Danube delta. The choice of work in the region is little: fishing and tourism. But for how long? Paraskoviya Kosova has been selling smoked, dried and salted fish at the market in Vylkovo for almost 20 years. The fish is evenly spread out on the table and suspended on a string from above. Paraskoviya is wearing a blue robe that shades her dark, sunburned face, she says that she works in the sun from morning till night. Most people in Vylkovo catch and sell fish or are engaged in tourism. The choice of work is little. The local market is located in the center and is surely a place all tourists should visit. The greatest pride of the sellers is the Danube herring. The behavior, flow and current of the Danube are a major factor in determining the amount of fish caught by local fishermen, whether they will be able to take their children to school or if they can go to the market and what will happen to the local crop. “If earlier we caught carps with the vine baskets right next to the house, now everyone with nostalgia recalls the old catches… Every year the amount of fish decreases. I remember when we were children, we went fishing and took our cats along. We would catch a fish and directly give it to our cats. 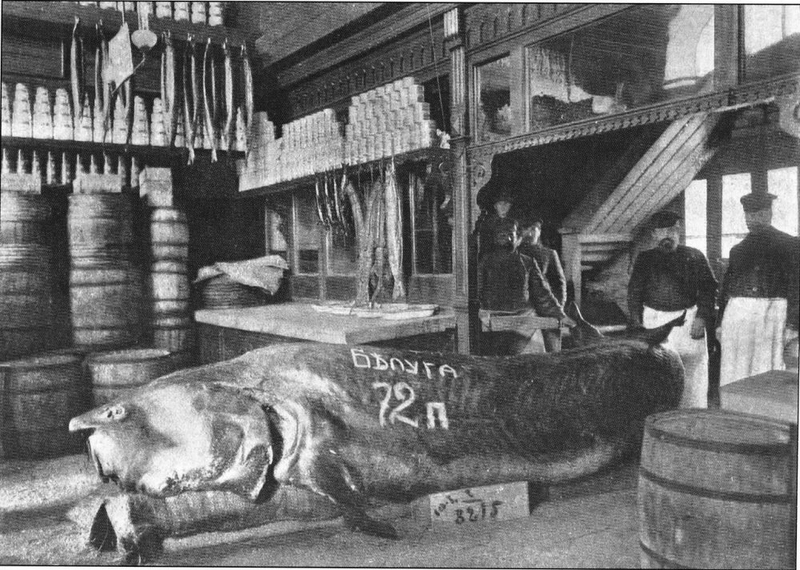 Now you will not see such a thing, the fish is disappearing,” says Paraskoviya, brushing away flies from the counter with a paper sheet. 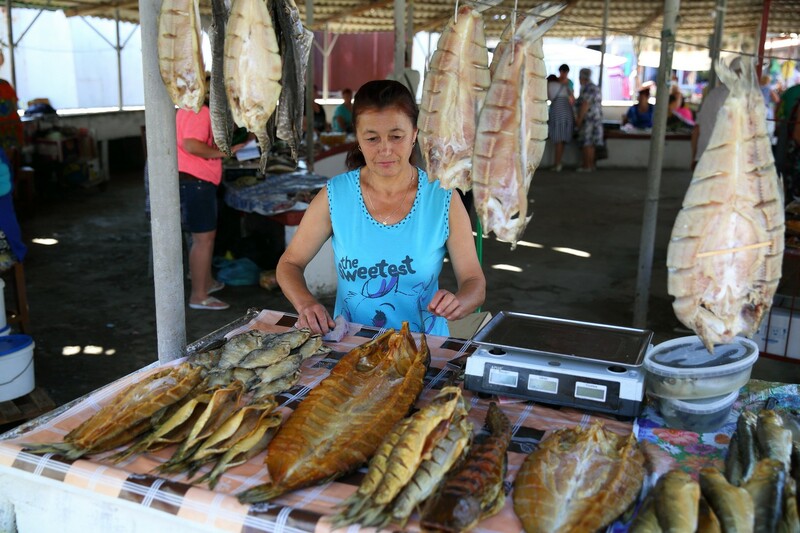 Paraskoviya used to work at a fish factory, her father was also a fisherman, and her husband is now helping her to store up and sell fish. On the process of salting and smoking, the woman can talk for hours, she says that process has not changed for many years and she likes it. She knows this process perfectly. Nataliya Gozak, a coordinator of WWF projects on climate change and conservation of sturgeon, says that due to the reduction of migration routes, excessive catch and change in the forage reserve in the region, the number of sturgeon species has significantly decreased. Sturgeons are kings of fish, they are called freshwater whales. Imagine, they can reach the size of a boat! Previously, local fishermen were proud of the stories of a huge beluga that they managed to catch, but now sturgeons catastrophically disappear. Among the reasons for their disappearance is the lack of food. For example, earlier we did not have any veined rapa whelks, now, due to climate change, they have appeared and they also feed on local mussels that are also feed for sturgeons, making it harder for sturgeons to forage for food,” explains Nataliya Gozak. Sturgeon is one of the oldest fish groups in the world. They have existed for over 250 million years and have survived dinosaurs without much change. But, according to the International Union for the Conservation of Nature, today, the sturgeon family is the most vulnerable family of the Red List, being on the brink of extinction. According to the forecasts of specialists, by 2050, the average annual temperature in the Danube region will have increased by 1-1,5 ° C (in summer, almost by 2 degrees). This will shorten the period with temperatures below 0 ° С, prolong the warm dry period of the year, increase the intensity of evaporation, increase the number of extremely hot days and reduce the period with constant snow cover. Extreme and dangerous weather events, such as storms, squalls, hurricanes, heavy rains and snowfalls, thunderstorms and hail, will occur more often and will have greater destructive power. 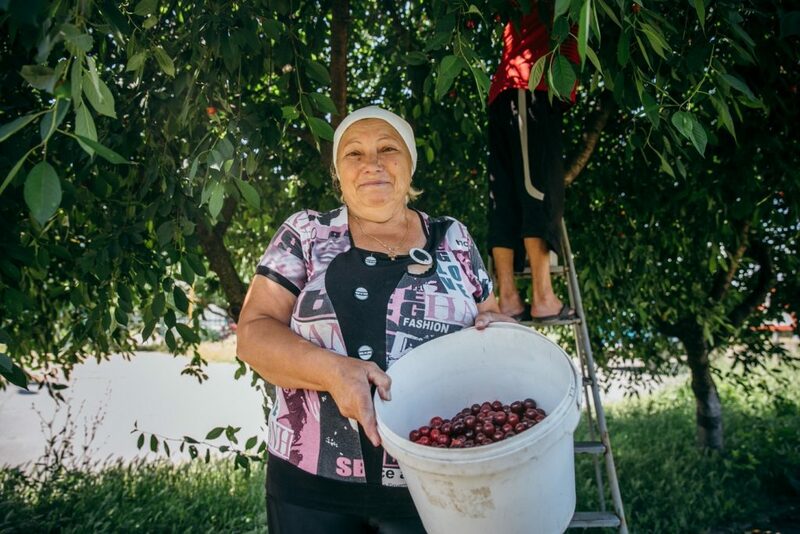 “I knew the days of sowing and harvesting by heart, but over the last few years they have been changing, and I can not predict accurately when we will sow or make jam,” Tetiana recalls, picking cherries near her house. Tetiana’s house is located near the road to Odesa. Almost every yard here puts jars with berries on stools and sells them to those who are passing by. The most popular products are cherries, peaches, grapes. “But over the past few years, I can gather neither a crop of peaches nor apricots. The rainy season changes the heat seasons and they do not have time to ripen, become sweet and juicy. Last year, all apricots fell off sour”, – recalls Tetiana. Tetiana is 60 years old, all her life she has been living in the village of Roksolany near Ovidiopol, now she is retired. The woman tells that she first brought up children, later grandchildren, therefore her whole life is home and a vegetable garden. Long periods of drought and high temperature peaks, which will grow by 10-20% in the period from 2020 to 2025, will be the main threats to the entire region. Due to weather changes, the family lost not only part of the profits but also the products that are usually harvested for the winter. Changes in weather also affected the rice harvest in the region. In Ukraine, there are the largest rice fields in the Danube region. 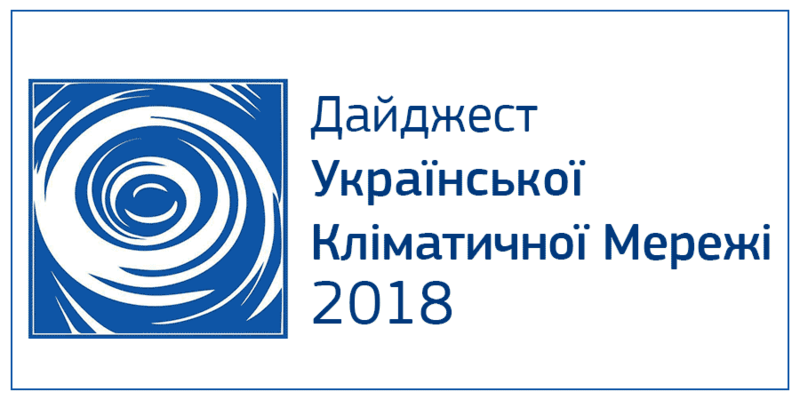 According to Oleksandr Dubovyi, the director of the rice farm “Debut 2005”, by 2014, Ukrainian producers have provided 30% of the market needs. Without the Crimean harvest, Ukrainians provide themselves with 15% of product, the rest is imported from Turkey, China and India. 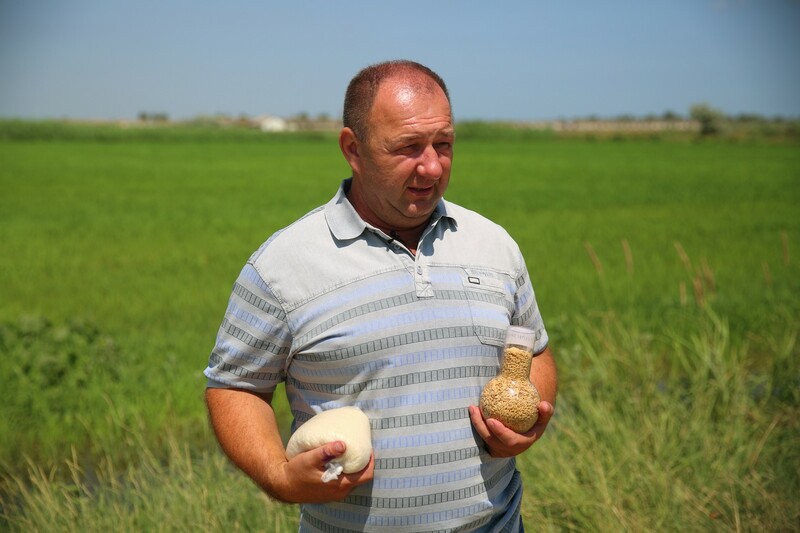 Over the last few years, there has been an increase in the rice fields in the Odesa region. Olexandr Dubovyi himself says that there are two reasons for this. “There were not so many hot days in the past; weather conditions are only improving for rice. In addition, the demand for goods is growing, Ukrainians want to buy their own goods. Well, I think that our rice is much more delicious than imported,” – jokes Olexandr Dubovyi and shows the territory of rice paddies, looking around the field. The best conditions for rice are heat and humidity. The farmers managed to provide timely irrigation of the fields, but the needed high temperature appeared in the region only in recent years. Ukrainian rice is not worse in quality than rice from overseas, Olexandr Dubovyi says that colleagues from abroad were most surprised that there are frogs in rice fields. “This means that we have an ecological product without chemical additives,” says the head of the company. 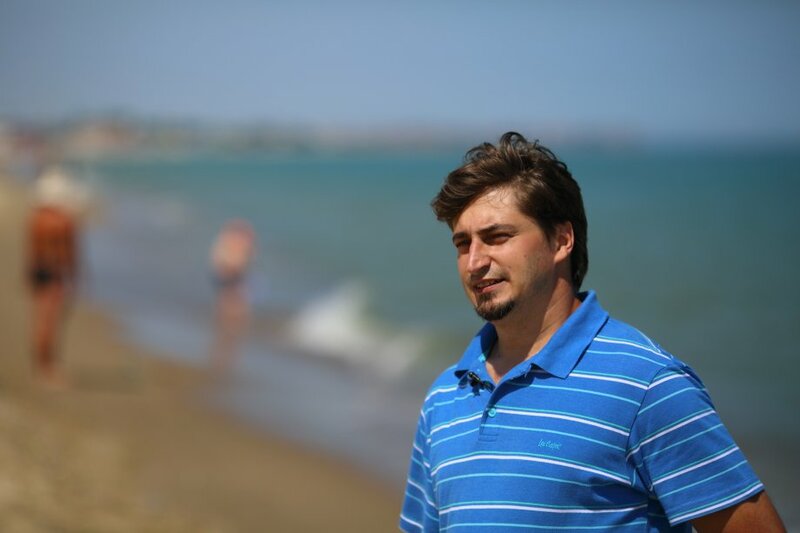 Oleg Diakov, an ecologist of the Odesa organization “Center for Regional Studies”, strolls along the beach at the Black Sea resort of Carolino-Bugaz, 60 km from Odesa. Cars with Polish number plates can also be seen here. People from different countries come here to enjoy their vacations. The resort is located not far from Zatoka, it is not so crowded here yet, but on one of the slopes several pits have been excavated for the construction of recreation complexes. The ecologist looks closely at the new buildings and says that they are all at risk. If negative forecasts come true, the sea level will rise. This does not mean that static flooding is waiting for us, because every 10 cm increase in the water level is an increase in the intensity of the waves. “The territory will suffer from storms, there is a high probability especially in winter that these buildings will be destroyed”, – says Oleg Diakov. He explains that there will be less rain and more hot days in the coming years, and this will primarily affect people’s well-being and agriculture. “People will not be able to grow perennial heat-loving plants, because, for example, these plants will produce crops for five years, and for the sixth year they will just freeze because of a cold snap “, – says the ecologist. Mykhailo Nesterenko, the project manager of the WWF world environmental organization in the Danube Delta, adds that in the future the boundaries of the seasons will be erased. “For example, spring and autumn disappear, summer lasts for a long time, and it turns sharply into winter. The Danube region is an agrarian region, therefore if the precipitation regime and duration of the seasons have changed here, the harvest will change,” says Nesterenko. According to Mykhailo Nesterenko, it is risky to invest in agriculture here, but on the other hand, due to temperature changes, people see that fig and persimmon have suddenly ripened. Once every 15-20 years, there is a radical change in the behavior of the sea. What is now being washed in by the sea – a new coastline – may disappear in a year or two because of the powerful waves. Previously, the beach line had 2-3 meters, now it is 5-7, but we can not predict what will happen to this territory next. Especially dangerous period in winter. The map on the left shows how the territory looks now, on the right – how the territory will change when the average annual temperature changes by 4 degrees of heat. According to the forecasts of scientists, the average annual temperature can grow by 4 degrees by the end of the century, if the amount of greenhouse gas emissions (in particular, CO2) into the atmosphere does not decrease. This map was developed by researchers at the Potsdam Institute for Climate Impact Research and a non-profit organization the Climate Central that analyzes climatic data. On the map you can see scenarios of development due to climate change in other territories of Ukraine. Rational use of electricity, gas and heat helps not only to save money by cutting cost, but also helps to reduce greenhouse gas emissions into the atmosphere. Therefore, give preference to energy efficient appliances, heat insulation and install meters, along with energy-saving lamps. Livestock industry accounts for almost 20% of greenhouse gas emissions into the atmosphere. Reducing the consumption of meat and products that contain palm oil is of paramount importance in climate conservation. Choose environmentally friendly local products – this will also reduce car emissions into the atmosphere during their delivery. Start separate sorting of household garbage. Paper, cardboard, paper packing you can take to the collection point of waste paper or leave it near the garbage cans; plastic bottles in many cities can also be delivered to the collection point of secondary raw materials; hand over glass bottles or give them to those in need. Organic waste is a valuable raw material for compost production. Organize a compost heap near your house, encourage neighbors to use resources rationally. Use a bicycle where it is safe. Give preference to comfortable public transport. And walk more! If you have decided to buy a car, buy a car that does not harm the environment and runs on a minimum of fuel. This will save your money and reduce CO2 emissions. When traveling far, give preference to rail transport rather than air travel, because for the same distance levels of emissions from aircraft are 4 times as high as those from the train. When you go shopping to your local storestore or a supermarket, try to buy goods in a package that can be recycled or can be taken to the collection point of secondary raw materials (glass, paper, cardboard), or quickly and safely decomposes in the environment. Most packages are plastic that is not recycled and remains in the environment for more than 100 years. The more we consume, the more we contribute to the accumulation of garbage. Every time when we shop at a supermarket, we are forced to take free plastic bags, and this is potential garbage. Do not take them! Garbage dumps emit the most dangerous among the greenhouse gases – methane. You can not burn garbage – this is dangerous for health due to dioxin emissions that cause cancer.